Air Belgium will not resume its flights from Brussels South Charleroi Airport to Hong Kong, initially planned as of 31 March 2019. For the time being the company’s aircraft fly under ACMI contracts for other carriers. The airline is considering two destinations in Mainland China this summer and flights to North-America next winter. Air Belgium’s maiden flight to Hong Kong took off on 3 June 2018, but the service was stopped only four months later. Air Belgium cites problems with the Chinese tour operator which was to guarantee enough passengers to keep the service viable. On a wider scale the company is still hampered by the limited length (2,250m) of Charleroi airport’s runway. Plans to have it lengthened to 3,200m by the end of 2021 have been drawn up. For the time being the carrier’s four A340-300s fly in ACMI operations for IAG/British Airways and LOT Polish Airlines. Therefore, the cargo business, which had been part of the company’s ambitions right from its set-up, is commercialized by the respective companies deploying the aircraft, confirms Cargo Manager Europe Pascale De Mieter. “We provide them locally with supporting services in this respect,” she says. Zurich-based Unilode Aviation Solutions which provides ULD management and repair services to a host of airlines worldwide, has announced a further three new agreements. 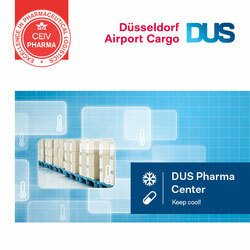 The first being a new deal with SAS Cargo with whom they work together with since 2011. Unilode will digitize SAS Cargo’s complete container fleet as of Q2 of this year. Unilode runs a digital transformation programme which is based on the so called BLE5 technology which enables tracking as well as monitoring humidity, temperature and shock encountered by air freight shipments. Unilode also announces that they along with ULD manufacturer PalNet have developed an integrated digital solution for aircraft pallets. This new system is also based on the BLE5 technology and will be integrated into Unilode’s entire pallet fleet during the second quarter 2019. Unilode states that the system is also available for non-Unilode clients. 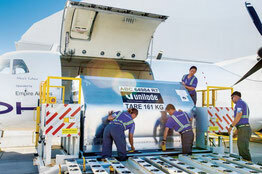 Hawaiian Airlines have decided to extend their long standing ULD management contract with Unilode. The agreement which has been in effect since 2014 also includes the supply of special containers for Hawaiian Airlines fleet of regional ATR-72 aircraft operated by the carrier for freight transports between different Hawaiian islands. As the Brexit “yes or no” decision looms, UK-based CargoLogicAir (CLA) is making preparations to extend their cargo flight schedule from the UK in anticipation of a hard-exit by the UK from the EU. The carrier’s CEO, David Kerr, recently announced that CLA will up its present schedule from the UK to 12 flights per week by adding flights from Prestwick and Doncaster airports. Mr Kerr stated that the airline has been working on Brexit contingency plans for some time but also realizes that the move will entail additional cost for the carrier if a hard Brexit actually happens. It would mean further intermediate landings and take-offs. CLA has also initiated a new service which originates in Houston, operates into Prestwick and onwards to Frankfurt and the Middle East. Recently CLA operated their first B747-400F all-female crew flight to Atlanta Airport. The flight was operated on International Women’s Day on March 8. The Dutch pension fund APG and insurer Swiss Life have bought the 36% share of Australian Macquarie in Brussels Airport Company. According to the Belgian financial daily ‘De Tijd’ both contenders beat a consortium around another Dutch pension fund (PGGM), its Canadian counterpart Pension Plan Investment Board (CPPIB) and the Belgian insurer AG. Another candidate was Canadian pension fund Omers. To date no information has been given as to the price the new shareholders have had to pay. Initially a price tag of some 2 billion euros had been named. The two other shareholders – the pension fund of the teaching staff of the Canadian province of Ontario (OTTP, 39%) and the federal government of Belgium (25% + 1 share) -have not sold their shares. Neu-Isenburg / Frankfurt-based time:matters, the experts for urgent transport shipments by air, has extended their Sameday Air network into western France. Bordeaux has been added as their second Sameday Air station in France’s western region. The first one was Nantes. There are several daily connections to Bordeaux airport and a total of around 60 direct weekly flights to the city, the majority of which originate in Paris and Frankfurt. time:matters state that this new service will cut down transit times for urgent shipments into the region by minimizing the need to send them by lengthy and more expensive road transport. This, they say, is attractive for companies in the aerospace, automotive, maritime, pharma and electronics sectors. It started with pharmaceuticals, followed by live animals. Now, the International Air Transport Association (IATA) added yet another time and temperature-sensitive cargo category to its Center of Excellence for Independent Validators program: Perishable goods. 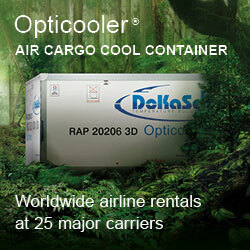 Perishable goods are a growing segment in air freight. CEIV-Fresh ensures that these delicate and short shelf-life products reach the customer unspoiled with minimal waste and loss, said Alexandre de Juniac, IATA’s Director General and CEO upon the launch of the product in Hong Kong. “Shippers will have assurance that CEIV Fresh certified companies are operating to the highest quality and standards in the transport of these perishables,” emphasized the manager, pictured here fourth from left. He is flanked by representatives of the Airport Authority Hong Kong (AAHK), Cathay Pacific, Cathay Pacific Services Limited (CPSL) and Hong Kong Air Cargo Terminals Limited (HACTL). They are the first organizations to pilot the CEIV Fresh program taking a community approach to certification. AirBridgeCargo Airlines (ABC) which has over the years established a worldwide cargo network with its fleet of Boeing 747 freighters and has been operating into Asia since 2004, has been honoured for their services in China by two of the largest airports there. Zhengzhou Xinzheng International Airport and Chongqing Airport have given awards to ABC for their contribution to growth and development in the Chinese cargo sector. Services to Zhengzhou were initiated by the Moscow-based carrier in 2010 and Chongqing in 2016. ABC’s Director Scheduled Cargo Operations APAC, Constance Wu, stated that “we would like to thank the airport authorities for their cooperation, support and partnership. In 2018 we achieved an upsurge in our volumes to / from Zhengzhou and Chongqing of 8% and 15% respectively.” The carrier operates a total of eleven weekly flights into both cities. 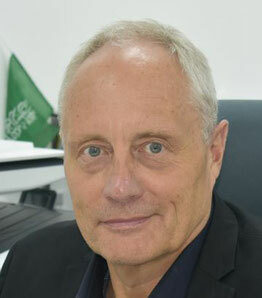 Danish national Per Hojland has been appointed Executive Director Cargo Operations Worldwide, by the management of Arabian freight carrier Saudia Cargo. He will be based in Jeddah and in his new role becomes responsible for the management of all international operations conducted by Saudia Cargo including overseeing the performance, operational standards, and services rendered by the carrier worldwide. Per Hojland brings a wealth of experience from earlier assignments. 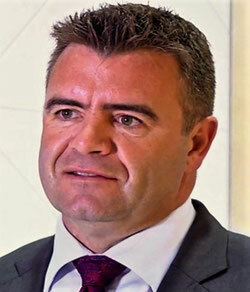 He spent the past 25 years in various roles in the air cargo and logistics industry, having worked for companies such as SAS and Spirit Air Cargo Handling, as well as logistic companies outside the aviation sector.